Looking for a new way to do writing prompts? 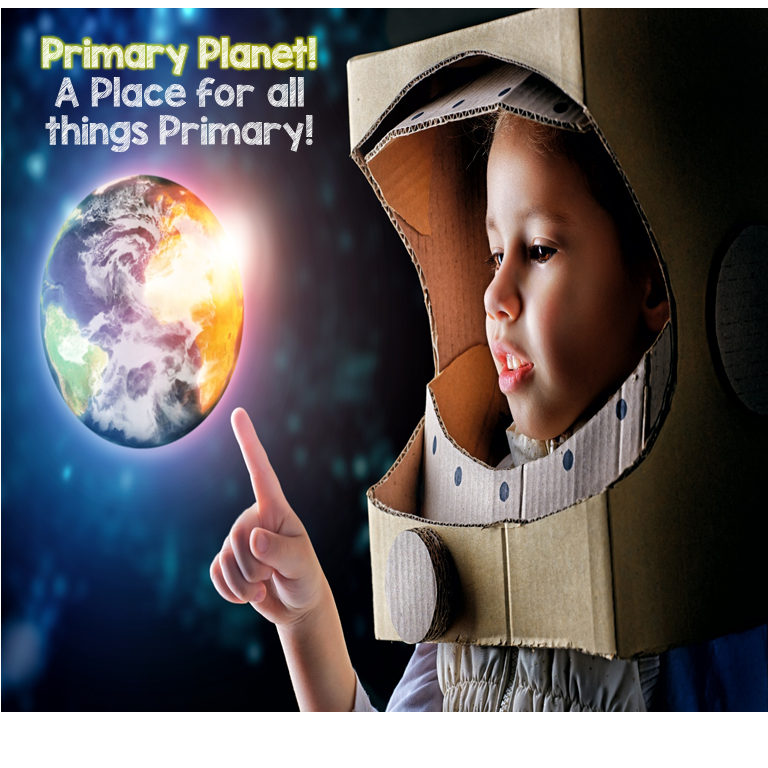 Look no further... | Primary Planet! Honestly I can't tell you how excited I am about my newest product. As a teacher I love teaching writing, but it really isn't the easiest thing to teach! Well. In comes the Story Friends! This is a simple idea, with a ton of uses in the classroom. First, I printed the pages that I wanted to use, cut out and laminated the pieces and put a piece of magnetic tape of the back. The first time I used it in my room, I used it in stages. The first day we introduced the characters. 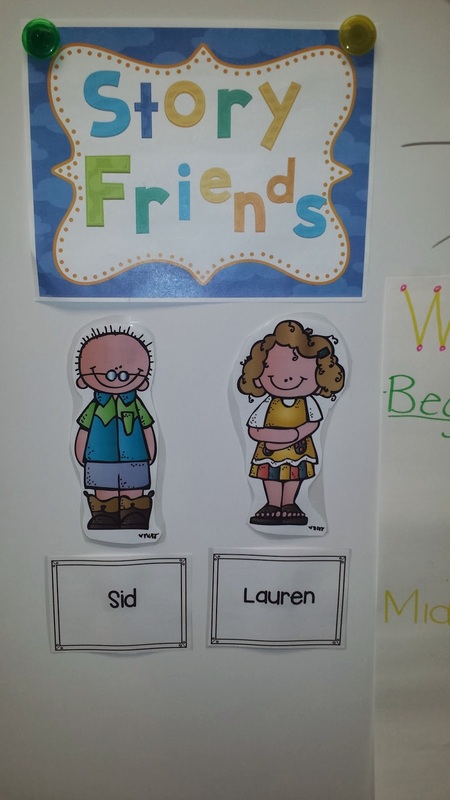 I started with "Sid" and "Lauren". I told the kiddos that they should choose 1 character to focus on. I stuck those pieces on the board. 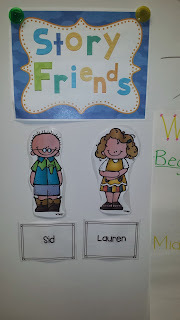 Then, we talked about describing those characters and what traits they may have. We had a great class brainstorming session. Then, I sent the kiddos off with a piece of draft paper with a "web" graphic organizer on it and they started by describing the character that they chose. The next day, I put up the "plot" and setting cards. 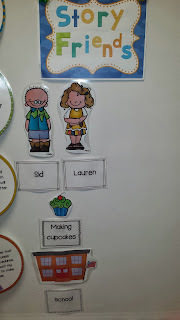 I put up "making cupcakes" at "school". Then, we had an amazing class brainstorming session about what problems could happen with making cupcakes. I started the discussion with "Who chose to make their character a nice person?" I got a handful of hands in the air. "What kinds of problems could a nice character have if they were making cupcakes at school?" I got a flurry of answers. The kiddos had a great time coming up with problems (some I never would have thought of). Then, I asked "Who made their character a mean person?" A lot of hands went up. "What kinds of problems might there be with a mean character making cupcakes at school?" They had a great time with this one. They had no trouble coming up with mean and ornery things that a mean character could do! They were chomping at the bit to go write their stories after our session! It was neat to watch how excited they got! 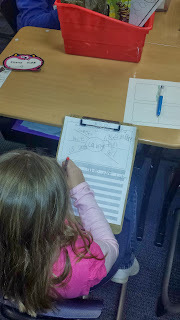 So, how can you generate this type of writing excitement in your room? This set comes with a ton to get you started! This mega pack as 95 pages in a zip file! 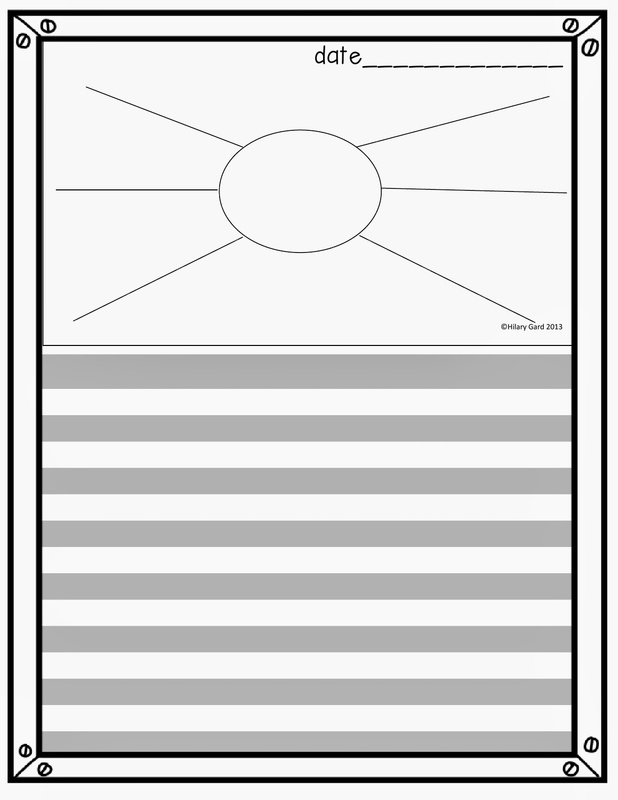 Writing Paper with Graphic Organizers both vertical and horizontal with 4 different writing lines styles. 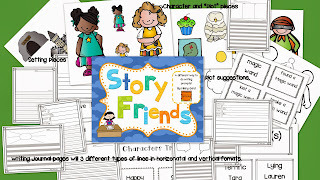 Plus cover pages to make your own story friend journals if you choose. This set also has some teacher suggestions and ideas. I can think of a ton of different ways to use this in your classroom. It could be used whole class as I did. It could be used in a small group setting. It could be used in a writing center. It could be a story telling center for younger kiddos. The teacher could be in charge of choosing the pieces or you could have the kiddos choose what pieces that they want to use! The prompts are endless. 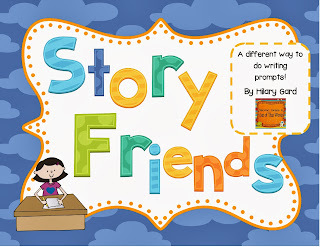 Story Friends! is currently on sale in my TpT store! I am also linking up with Simply Kinder for a simple linky! 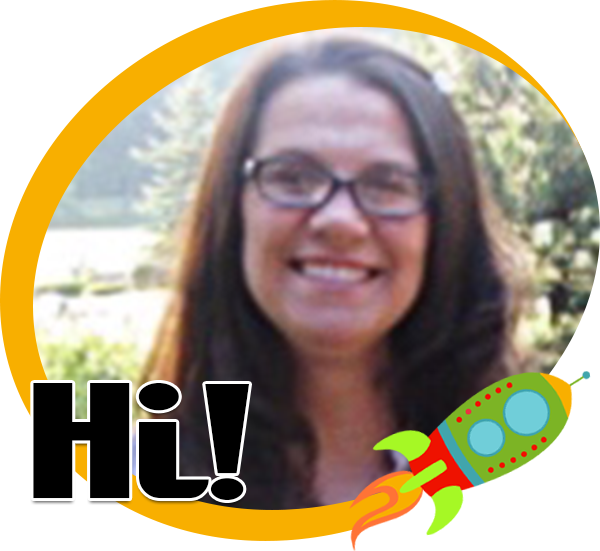 Come on over and find new friends! As a teacher who teaches writing, I agree with you that writing isn't the easiest thing to teach. This is a fantastic idea/product. Well done and happy new year! 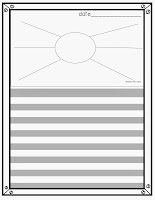 Your new for writing i see and it's perfect and very good thanks for share it capstone paper topics .